Well-come to my service. 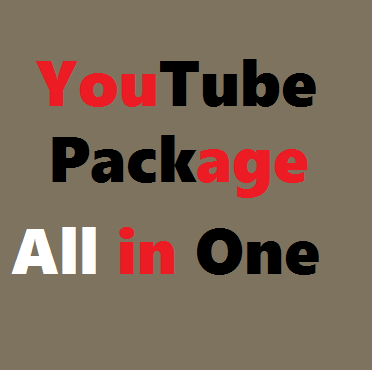 I give you YouTube Never dropped Custom comments, YouTube Video likes, & subscriber very fast for only $ One. This amount of Subs, Likes & comments come from Worldwide user. I give you comments from my Gmail accounts. Twenty (25) + YouTube H.Q Like. * Very Cheap Rate for you. * My all Comments Likes & Followers Real & never dropped. * Quickly Delivery Before deadline. * My account is all time active. * Money back if not complete your work. Note: 1- Please sent your Comment list. `````2- You can add Extra too, look my extra. So, Please order me more & Enjoy my service. YouTube Promotion Via World Wide User All In One is ranked 5 out of 5. Based on 420 user reviews.